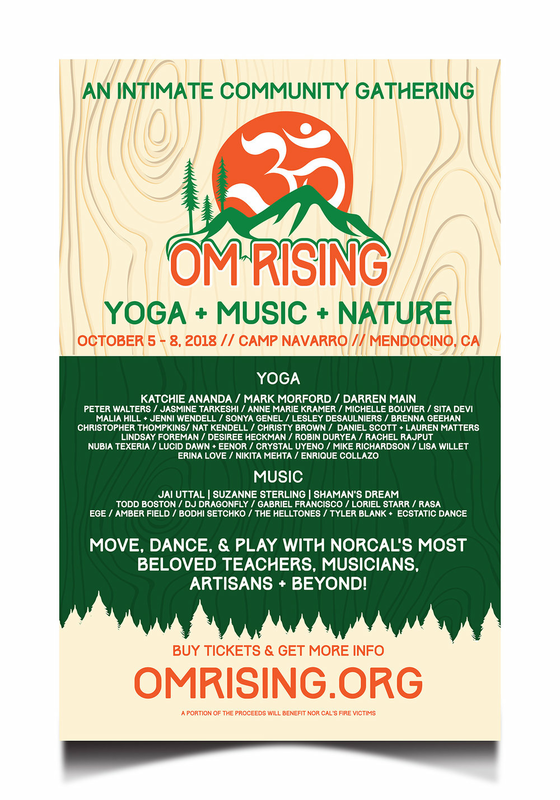 NorCal's Premier Yoga + Music Gathering Oct 5-8, 2018. 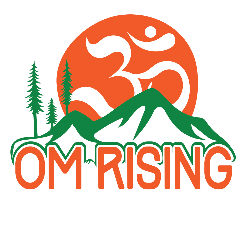 Om Rising is a one-of-a-kind gathering nestled in Northern California's stunning redwoods. We will come together as a community for an unforgettable weekend of: Yoga + Music + Nature! Our vision unites a unique community of yogis, teachers, performers, artists, and energies with one sole belief…Together, Everything is Possible! Join us for a weekend in the redwoods with empowering classes, incredible teachers, and inspiring music. Come together for a weekend of fun and community! 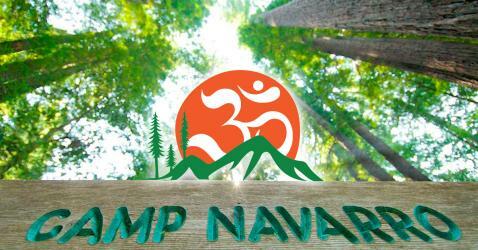 Enjoy the majestic beauty of Camp Navarro - an idyllic 'back-to-nature' campground and event space nestled between world-class wine country and the powerfully stunning Northern California coastline. Our lineup will suprise and delight you --- featuring all kinds of unique classes with top level teachers spanning a variety of movement modalities: yoga, dance, martial arts, meditation, wellness and self-care (plus unique workshops like Yoga + Activism, Cannabis and CBD 101, Kombucha making, Herbalism, Astrology 101, kids yoga and so much more). Unroll your mat, re-connect with the old souls among the Redwoods, roll around in the grass, and be FREE! Once the sun sets, adventure awaits! Expect amazing live music from an eceletic assortment of talented artists and a variety of performance art courtesy of California's most talented minstrals. If you're feeling a more chill vibe, drop in on a sound bath, a yoga nidra in nature, join a kirtan, or simply share a campfire with some new or old friends while stargazing into a new moon sky. Katchie Ananda, Mark Morford, Darren Main, Peter Walters, Brenna Geehan, Christy Brown, Nubia Teixeira, Sonya Genel, Christopher Tompkins, Michelle Bouvier, Sita Devi, Malia Hill, Jasmine Tarkeshi, Rachel Rajput, Lucid Dawn + Eenor, Lindsay Foreman, Anne Marie Kramer, Erina Love, Nat Kendall, Robin Duryea, Gabriel Francisco, Desiree Heckman, Crystal Uyeno, Lisa Willett, Nikita Mehta, Enrique Collazo, Laurie Light, Tali Eisenberg, Marissa Nasca, Lisa Rueff, Lihi Benisty, Jennie Hayes, Kyle Quillici and Pamela Hadfield of HelloMD. Jai Uttal, Reggae Artist Saritah, Larisa Stow & Shakti Tribe, Suzanne Sterling, Shaman's Dream, Todd Boston, Dragonfly, Amber Field, Gabriel Francisco, Rasa, Bodhi Setchko, Ege Sanli, Loriel Starr, Jens Jarvey, Adam Kurzfeld, Alyra Rose, The HellTones, The Tony Glaser Band, Britt Warner of October's Child and Modern Magic. Awaken to the Universal Tantra of Truth: Holy Love... An Immersion into HOLY LOVE thru Kundalini Activation, Musical Enchantment, Shamanic Temple Yoga & Dance, Mudras, Primordial Sound Trance, Sacred Story-telling and Heart Songs. Play & pray with your bodies. Shamana Ma Sharene, Papa Patrick Riley, Jah Levi, Natalia Price Vales, Lakshmi Del Sesto, Amae Love, Tiarra McLelland, Aliaksandr Apalikau, Xander Lares, Dylan Bogart & Leah Binder, Amber Kennedy, Danielle White, Lindsay Jones and more.